I am not usually an indecisive person, but this situation was different. Khao San Road in Bangkok, Thailand. A 1 mile-long strip with countless bars, restaurants, market stalls, tattoo shops and...massage parlors. Massage parlors with $5 foot massages. In the US $5 doesn’t get you a toe massage, let alone a 30 minute foot massage. As my boyfriend and I strolled down the crowded street, every single roadside massage parlor looked exactly the same. Same setup. Same services. Same prices. Same friendly face calling out to us, "Welcome! Massage!" How do you pick from a sea of "sameness"? And then it happened. A storefront caught my eye. This one was different. A sweet, young girl was walking around with a tray in her hand passing out drinks to customers. Tall, cold drinks with a straw. On that hot day in the middle of summer, there was nothing that I craved more than an icy-cold drink to help relieve me of the heat and humidity. It was a great foot massage and the Nam Krajeab - a famous herbal drink in Thailand - was refreshingly delicious. So why did I go there, and why would I go back? #1: It stood out and caught my attention. #2: They went above and beyond the service I was actually paying for. Let's say there are 1000 competitors in your market. 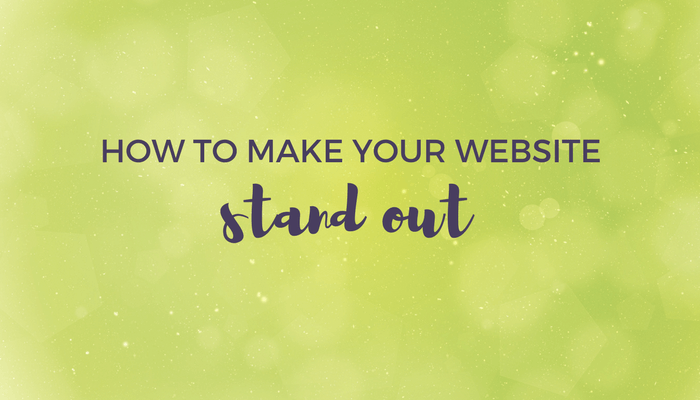 If all your websites look and sound the same, you only have a one in 1000 chance of attracting any visitor. However, if your website stands apart from the flock, you'll at least give them reason to say, "She is different for ____________ (fill in the blank) reason". I'm not saying you should be different for the sake of being different. In marketing terms, this is your Unique Value Proposition (UVP). Your Unique Selling Proposition (USP) simply refers to whatever makes your business distinct and different from similar businesses. This is increasingly important to uncover as the online business space gets more and more crowded. You need to stand out from the crowd. If you are doing the same thing as everybody else, the chance of a potential customer picking you out of the crowd is slim to none. If, however, you are doing at least one thing better/different than your competitors, then you are giving clients a reason to choose you! What is it about you or your business that's unique? Where do you go the extra mile? What can you say about you that no-one else can say? When you answer these questions, you will find that essence, that unique proposition, which makes you truly distinctive online. Make that essence seep from every pore on your website - in your design, in your language, in the services you offer - and you will get more business. Imagine your prospect has looked at a few websites and then says, "I’m going to go back to that gal who ____________ (fill in the blank)."